Marvel’s Daredevil has grown since it first hit Netflix last year. No longer just a story about a lone, blind vigilante, the show has become much more of an ensemble series – allowing all of its stellar characters to have chances to shine. Season 2 of the hit superhero TV series did well with critics and audiences, but not everything was an improvement in the new season. Recently, Samuel L. Jackson admitted that Season 2 had some problems, and that he wouldn’t mind seeing Foggy Nelson killed off the series in the near future. Just finished @Daredevil season2, Awesome! But... If Foggy got Red Weddinged, I wouldn't be mad!! Now that's a tweet with all of the candid honesty we have come to expect from Nick Fury. Samuel L. Jackson reveals that he finally finished the second season of Daredevil (why did it take him so long?) and that he’s a huge fan of the series. However, he goes on to admit that his one gripe with the drama is the characterization of Matt Murdock’s legal partner and best friend Foggy. In fact, Jackson even goes so far as to claim that he wouldn’t seeing the character get "Red Weddinged," an allusion to the infamous Red Wedding episode of HBO’s Game of Thrones, that saw a slew of character killed off in horrible ways. We’re not exactly surprised by this distaste for Foggy Nelson. 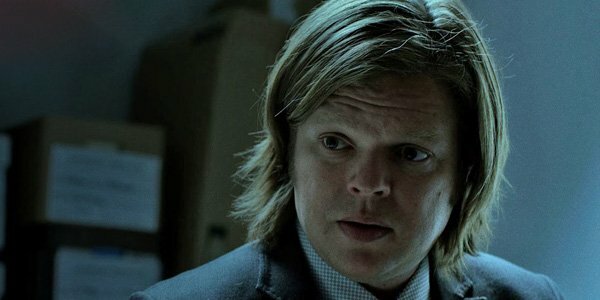 Although it likely has nothing to do with actor Elden Henson’s performance, many people found themselves turned off by Foggy’s overall demeanor during the recent episodes. He consistently complained about Matt Murdock’s alter ego as The Devil of Hell’s Kitchen, and found himself butting heads with his best friend more often than he agreed with him. That’s not to say that Foggy is an inherently unlikable character, his view of the world simply ran counter to that of Matt – who is our window into this Defenders universe. Samuel L. Jackson should be careful what he wishes for. Considering the amount of enemies Matt Murdock has made over the course of Daredevil’s last two seasons, it remains entirely plausible that Foggy could potentially meet his bitter end in the very near future. During the events of Season 2, Matt Murdock paid a visit to Wilson Fisk a.k.a Kingpin in prison, and the Season 1 big baddie declared his earnest desire to tear Matt’s life apart piece by piece. Although all eyes seem to be on Karen Page to be killed at some point (especially when we consider the long-rumored arrival of Bullseye), Marvel could take a serious left turn from the source material and have Foggy killed. No matter what you think of Foggy Nelson and Elden Henson’s performance, it looks as though you’re not going to be able to dissuade Samuel L. Jackson’s current opinions on the matter. One thing’s for certain: if Foggy Nelson ever comes into contact with Marvel’s silver screen characters, we can likely assume that Nick Fury won’t take kindly to him. We will bring you any and all Daredevil updates as they become available to us. To see what else will be coming out over the next few months, be sure to check out our summer TV schedule.